There are a few good Mexican places in town to eat. So far, I can't say that any particular one is "the best. " Los restaurantes me gusto include La Hacienda and Los Arcos and most frequently visited, Cozumel near Roth's on Liberty. Baja Fresh is the best for something quick, but I'm looking for the local best. Where do you eat? Whats the best? Most of the sit down places are pretty good.. Surprisingly enough some of the roach coaches are really good. If you happen to be by Stewarts auto supply on Portland road, or by the flea market/ furniture place by the hollywood post office, which is also on Portland or Fairground rd.. Not sure what it is right there.. They both have a good gutbomb.. or cheap greasy tacos both of which I enjoy..
Our favorite is Chula Vista on State Street behind Jiffy Lube (I think that's what is on the corner). GREAT food for great prices. We are regulars there and we've never been disappointed. I like El Mirador on Lancaster. I get the bean and cheese burrito. Yummers!! I like Jr's on State street. Fantastic homemade tortillas, good quick food, and tasty horchata. We like La Hacienda on S. Commercial. I think our favorite part is the saucer - one side filled with refritos and the other side filled with (I don't know what else to call it) a chopped vegetable relish to go with their chips. Very tasty! I'd like to see more fresh vegetables , like chopped tomatoes & onions, added to Mexican restaurant dishes. La Hacienda is really good, as is that one restaurant in the ShopKo parking lot (the name escapes me at the moment). Oh, and El Mirador and Los Palomas are both good, too. Decisive, aren't I? Whoops! Los Palomas IS the one in the ShopKo parking lot. My mistake! Another Vote For El Mirador. If you don't get full from the fresh chips/salsa and bean dip (with fresh shredded veggies), then your meal will certainly finish the job. I'm a bit of a Nacho fan myself, and LOVE their Nachos. They also have a Fajita Burrito that is really good. There are SO many choices on the menu, it would take quite a few trips to try everything. The Mexican restaurants in Salem are only fair. They don't compare to the Mexican restaurants in New Mexico and Arizona. That is where you have to go to get good authentic Mexican food. Mexican food in Salem is also over priced. I personally love La Perla Tapatia. I go to Willamette; it was featured in our newspaper and is kind of a cult favorite. Friends from New Mexico and California say it's the best they've tasted in these parts. Plus, the staff of La Perla is friendly and has always treated us well. The owner makes a point of extending hospitality. I'm not a culinary expert, but the food there always seems fresh and satisfying. I prefer La Primivera in West Salem. Yummy salsa and pretty much anything you get on the menu is good. Love it!! Muchos gracias! I'd rather eat here than any other Mexican restaurants in Salem. If you want really good Mexican food you have to leave Salem city limits! We love Aiberto's on Market St. at Lancaster, across the street from Fred Meyer. It's "fast food", but the quality and taste are a cut above. Their chicken tacos are excellent (the chicken is tender and very tasty, something you'd expect to be in a fajita rather than "just" a taco). We also like their beef tortas, and the giant chicken burrito is very tasty, and pretty much a meal unto itself. Their menu is pretty extensive, and they've recently introduced Tacos de Papas, which have seasoned mashed potatoes instead of meat in a traditional hard shell taco. It's topped with pico de gallo, which is the perfect tangy offset to the potatoes. The drive-thru and dining room are open 24/7, and it's recently under new management. We're always happy with everything we get there, and the folks are very friendly. I love La Hacienda. Its good for lunch, good for dinner, and good for leftovers for breakfast. Its even good cold! My fave are their tortillas, pico de gallo, and beans. I always get enchiladas, but mostly cause I love enchiladas. Has to be Salvador's Bakery #2 on Silverton Rd (nearest cross street Lancaster)! It throws you off with "Bakery" in the name, but they have the Best Salsa Bar and toppings for their Tacos with their handmade tortillas! They have the typical Mexican food (Tacos, Burritos, Tortas, Tamales, etc). They also have the biggest assortment and varieties of fresh Mexican pasteries! Truly authentic and one of the best eateries and bakeries in Town! Luis's Taquiera in Woodburn is also one the best! Aiberto's on Market Street, across from Lancaster. Their meat is fantastic quality, their prices are satisactory. They make their delicious horchata from scratch in the kitchen. The environment seems like a fast-food restaurant, but the food is much better. If I want a sit-down meal that is divine, I go to Casa Baez (formerly Los Baez) on Lancaster, next door to Olive Garden. The staff is extremely friendly and the food is so delectable. Their chili colorado is amazing, as is every other dish I've eaten there. The salsa is also spectacular! I like to recommend the best dishes I've had. Every restaurant seems to have some really good items. Here goes: 1) Tacos Carne Asada - El Grullense (a lot of the roach coaches around town are from El Grullense also, same perfect tacos); 2) pollo a la diabla - 4 Caminos on Broadway and Hood; 3) chile verde - 4 Caminos; 4) tortillas - La Hacienda Real, which is probably the best overall in Salem; 5) fajitas - Las Palomas. In particular I dislike Casa Baez, but I haven't been there in a while. Other good overall - El Mirador, La Primavera. Every mexican place i have been too so far has the pre- made corn tortilla shells, the same ones they use at taco bell. I can't take a mexican place serious if they they use those. Does any one know of a place where they actually cook the corn tortilla shells for tacos? Does anyone know of a restaurant in Salem that serves "norteño" style tamales? They are made in the northern part of Mexico and are the kind that you ordinarily get at Mexican restaurants in Texas. They are quite small and dense, made with masa that has no leavening added. The tamales that I have eaten in Salem are from other regions of Mexico and usually are large, often with a leavening that makes them light rather than dense. To me these tamales have much less flavor than the ones from northern Mexico. Feb. 4th anonymous, that would be San Diego Taco Company. We've both tried the soft and crispy tacos and they are the real deal. I would suggest the grilled chicken taco that is soft shelled though, it tastes very similar to the taco al carbon from el pollo loco, but homemadey. and if you don't know what el pollo loco is then just trust me, it's delicious. Anonymous March 11th - let me know when you find some because that sounds beyond awesome! I personally love the food from a " lonchera" located on Portland rd by stuarts auto parts their tacos are delicious! As well as their burritos and what can I say about their freshly made salsa they are awesome the best lonchera food in Salem! Does anyone have any opinions on the taco stands? (It was a four tissue lunch!) Guided by my excellent server, Georgina, I chose their Steak Fajitas Lunch. Juicy strips of marinated beef grilled with onions and bell peppers served on a sizzling iron platter. The refried beans, rice, salad, guacamole, sour cream and tangy pico de gallo salsa came on a separate platter. Preceeding the entree were the usual chips and salsa with steaming hot bean dip. The thick flour tortillas are made fresh when you order and are delicious. Sparkling clean and decorated with the flavor of Old Mexico, Cozumel puts you in the mood for a South of the border dining experience. Ol’e! I love Aibertos Taco Shop in salem. @ market St. it's open 24 hrs. dine in, take out & drive trhu. They have delicious home made tamales mmmmm!!! they put enchilada sauce on top with melted cheese & sour cream.... stuffed with a lot of flavorful meat... the best !!! as you can get in a restaurant... their Carne Asada Fries are from an other world!!! are a lot of french fries topped with Guacamole, Sour Cream, Cheese and a lot of Carne Asada... a little piece of heaven... They're from San Diego.The salsa bar is to dye for... mmmm! the chunky salsa... THE BEST EVER!!! I should not have eaten at the best Mexican restaurants in San Diego and in San Pedro. To die for. The ones in Salem kinda just make me wilt. Then again, the San Deigo place in on Coronado Island and the San Pedro one is on the water at the Port of San Pedro. The ambiance here can't compare. Sigh, wistful sigh. Sure, also the wait is REALLY LONG and never a clean table. Those Friends have probably never had authentic Mexican food. I second you on that. We have tried nearly every Mexican place in Salem and we have come to the conclusion that this one is the best. I find it interesting that many have mentioned the "Americanized" Mexican places as being the best. These places do not come close to being authentic and they really can't even if they wanted to as the demand for such authenticity is not there. Many people up here are simply too afraid to try new things, they think chips and salsa are as Mexican as you can get. Many of the places mentioned here serve the same old generic bland food, nothing special. If you do happen to desire the more authentic taste of Mexico, you are probably better off going to the loncheras (taco trucks) or taquerias. The rest is just Mexican American fare. OK! You want Authentic? These ought to keep you busy for a while! I agree, we LOVE Aiberto's. I am not learned on the myriad of variations of "authentic Mexican food" which come from various areas in the actual country of Mexico. All I know is I go there to their drive up, they are friendly and give me really great food that is tasty and yummy... but last time they forgot the spicy carrots. Dammit! That's how I get a whole serving of vegetables! LOL. Taqueria El Tapatio. Corner of union and high. Very good authentic tacos. Like la perla, but better. Marco who was the former owner of la perla is the proprietor. Very good food. Service is 5x better than la perla (order at counter) and food comes very quick. My office is close and ive been there 6 times in 2 weeks. Highly recommended. Want to be more specific. Dude listed 10 places. Gonna try Mercado San Francisco today, Inshalla. Will report back. I would say go the La Sirenita on Keizer and Mariscos Morales theyre soo good with thier Sea Food. But for the best quality in salem try Los Dos Amigos! Kind of expensive but best quality food and Bar. I agree about Los Dos Amigos! They have the absolute best chicken tortilla soup I have ever had. The cuisine in New Mexico and Arizona is very distinct from that offered in Salem. Most of the restaurants in Salem are run by people from parts of Mexico that are well south of the US-Mexico border. Just as the food in Louisiana is different from the food in Minnesota, so too is the food from different parts of Mexico different. Honestly, I do prefer the "North of the Border" style of Mexican food that is found in the parta of the US that used to be part of Mexico. 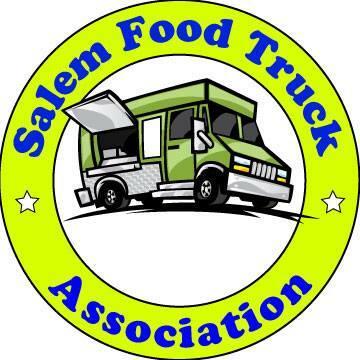 Having said that, many of the Salem restaurants are very good for the style of food they serve. Can't believe no one has mentioned La Margaritas and La Margaritas Express. I like the cheese enchilada combo plate under the vegetarian menu. Made like no other Mex restaurant I've been too. They are from San Salvador, I believe. BTW, useless to say Mex food here isn't authentic. It's what we have. Love Mananitas Mexican Food on Rickey Plaza across from Shopko with their fat free "refried" beans and fresh ingredients and the best part they deliver all Salem. .for the rainy days ahead. Finally a pice of mind with what I feed my kids not being greasy or frozen forever.